Did you know we’re in the midst of a good-weather marathon? Overall: high 79, low 66, a few clouds, moderate winds from the north, and a 15% chance of rain. Note: if you’re commuting northward in the afternoon, watch out for stiff headwinds. Nothing too crazy, but perhaps enough to skip the LFT. And assorted dead rats (not pictured). 3.25 out of 4, on account of rain chance and moderate PM winds. DIVVY REPORT: Rainbow Beach station still down, apparently. Otherwise, all stations operational. Up-to-the-minute updates here. The new bikes-only bike path on the Lakefront Trail by North Avenue beach, built but not quite open. This is the bike path. The existing LFT along North Avenue beach will become ped only. People protesting in front of Trump Tower. Cyclists were well represented, but unfortunately not photographed. Vacant retail space at the base of Trump Tower?! Aww. 3 out of 4 stars. Enjoy! Friday: an excellent day. Again. How pleasant will it be? DIVVY REPORT: Rainbow Beach station still down. Otherwise, all stations operational. Up-to-the-minute updates here. 3.5/4. Outstanding, again. Ride your bike! You gotta! 3.25/4, on account of rain chance. Weather similar to Tuesday, except with an extra cloud or two to shelter us from harmful UV rays. Flowers bloomed in Humboldt Park. Cedar-apple rust on the hawthorns. Ack! 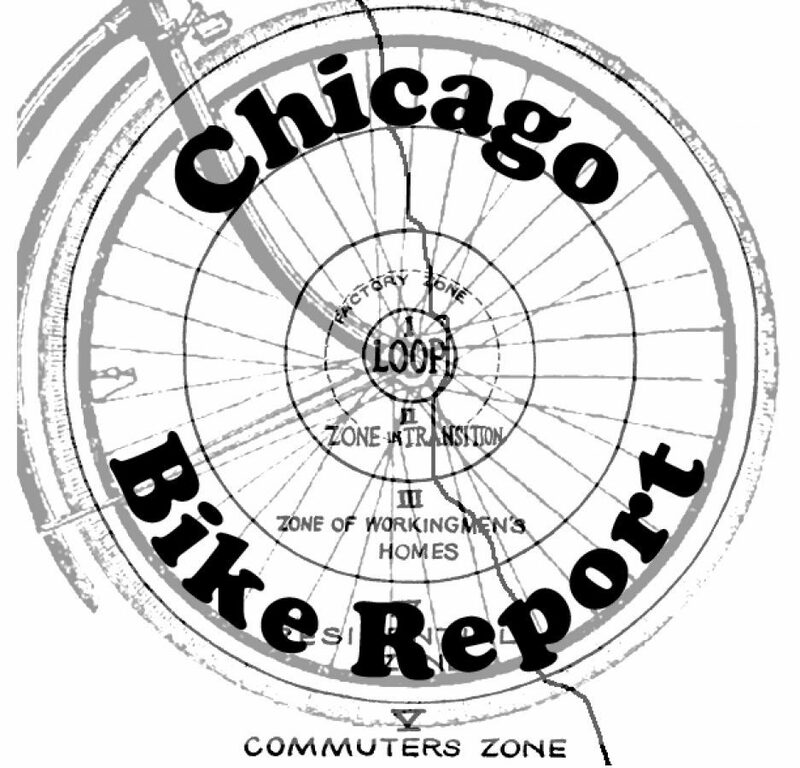 DIVVY REPORT: Rainbow Beach station removed. Is it temporary, permanent, or a figment of the Divvy computer system? We don’t know. Otherwise, all stations operational. Up-to-the-minute updates here. New Citibikes in New York have continuously variable transmissions. I.e. instead of 3 discrete gears, you get an infinite spectrum and can “slide” the shift lever into the gear ratio of your choice. Will this hi-tech feature be coming to Divvy? Hmmm. 3.9/4. Again! This mean ride your bike. Tuesday: like Monday, a springlike day, but way, way better. Look at that! We’re approaching peak bike commuting conditions. Sunny skies, mild winds, and temperate temperature. DIVVY REPORT: Like Jon Snow himself, State and 29th Street returns from the dead, added back into the Divvy system. Why? I don’t know. This story is tiring me out. While walking near the Blommer Chocolate Factory at Milwaukee and Kinzie, I saw, firsthand, with my own eyes, a collision between a cyclist and a driver. Luckily the cyclist was all right. The cyclist’s poor choices led to the collision, so let us use this example learn from her mistakes. Cyclist was riding down Milwaukee, heading onto Kinzie. She skipped through a red light and squeezed in front of a bus stopped on Desplaines while it waited to turn left. Cyclist thought she had an all-clear route, but her view behind the bus was obscured. Blocked from her view was a car was traveling 30 mph right into her path – and the driver couldn’t see a cyclist headed into her own path. The driver slammed her brakes and slowed the car enough that she only hit the cyclist’s rear wheel. Confusing? Well, look at the diagram. This was neither the time nor the place to run a red light! Defensive riding: a good idea, especially when dealing with the dangerous diagonal intersections of Milwaukee Avenue. 3.9/4. Nearly perfect! Ride your bike! Monday: it’s as if spring has returned, eight months early. No, not a fancy great spring day, but a solid, workmanlike, mediocre spring day. That means if you’re riding north to get home in the evening, you might wanna avoid the especially blustery Lake Front Trail. Nearby residents can use 31st and Indiana or 26th and Indiana. The Navy Pier Flyover began construction in March of 2014. It’s scheduled to be completed at the end of 2018. That’s four and a half years. For a bike and pedestrian bridge! Which, as John Greenfield pointed out a while ago, is longer than it took to build the Golden Gate Bridge. When did CDOT begin planning the project? In 2001. That’s seventeen years from planning to completion. “[T]he flyover isn’t just about function. Because it is located in a prominent part of the Chicago, CDOT also wants the flyover to be an iconic architectural structure in the city. “The main design feature of the flyover will be its serpentine form, curving around parks and buildings. A visually striking steel rib superstructure will support the bridge and accommodate its curves. It does indeed look nice. But is 4.5 years of construction worth it to look good for tourists? Hmm. 2.8/4. Even with the prospect of rain, we welcome a cool day. Overall: high 71, low 58, windy as heck. This old saw. But yeah, it’s windy. And 58 degrees! You saw that, right? Jeez. DIVVY REPORT: The saga of State and 29th Street continues: it’s shut down again! Huh? Up-to-the-minute updates here. 2/4. But an unusual 2/4. There you have it. RAIN. THUNDER. LIGHTNING. But quit complaining! We had such nice weather for so long, and this is how the world works. A waterproof recumbent. Maybe the visibility could be improved? Just a constructive suggestion. 1.85/4 Chicago flag stars. Don’t slip! Wednesday: new day, new weather. Just kidding! It’s the same weather. 15% chance of rain during commuting times, apparently. Eagle-eyed readers will note that this is pretty much exactly the same as yesterday. DIVVY REPORT: State and 29th Street returns! Risen from the ashes, like Chicago post 1871. Up-to-the-minute updates here. 3.5/4. Because Tuesday was 3.5/4, and this is the same.